At the Wills and Estates Law Group we want you to focus on making family memories, not worry about the what-ifs. That is why we pride ourselves on making the task of preparing a Will, quick, easy and stress free. Come meet with us in our relaxed offices where we will walk you through the process and devise a personalized approach for your individual needs. In addition to basic Wills, our services also include powers of attorney, representation agreements and estate planning. Don’t put off what should be done today, call to make an appointment with Katy Williams our Senior Wills and Estates lawyer. Learn More About the Wills and Estates Law Group. When it comes to Wills in Kelowna you want to hire a law firm that not only has the skills required for estate planning, but also the ability to ensure that your last Will and testament is legally binding. From power of attorney to probate, the Wills and Estates Law Group can answer all your questions and put your mind at ease. Having a legal Will is important because if you don’t have one the court will decide not only who will oversee your Estate, but also who will be entitled to your assets. If you have minor children, it is especially important to have a valid Will in place so that you can appoint a guardian for them, rather than leaving it to the courts to decide. The Wills and Estates Law Group truly believes that you don’t have to be one of the “1%” to get the best advice on Wills. You will be treated with the utmost care regardless of the size or complexity of your estate. We pride ourselves on providing prudent estate planning services to everyday families in Kelowna just like ours. Our Will packages, while designed and priced for the average person, couple or family, are far from average. 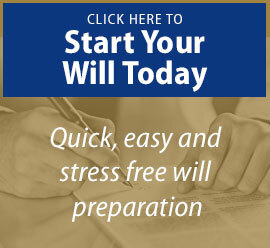 We offer complete Will services including estate planning and administration. Whether you require a last Will and testament, a power of attorney or administration of an Estate we have a package to suit your needs. To learn more about the will packages we offer please click here. To contact us for more information please click here. What Wills & Estates services are you interested in? If so, are they minors? Do you have any other dependents? Is your Estate valued over $25,000? Do you have RRSPs and/or Life Insurance?